Click the questions to toggle open the answers. JMAP is a community-wide study that helps us navigate the future by understanding our current community and its needs. 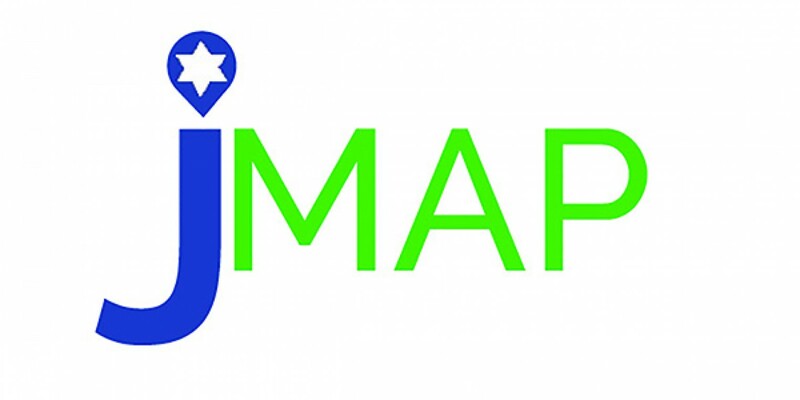 Just like driving to a destination, you need to know what the map looks like – JMAP will first help us map out the needs, values and priorities of our diverse Jewish community across Greater Hartford. Then, with that information, JMAP will create a dashboard – just like the dashboard on your car – to help us measure our progress toward our destinations. The dashboard can be regularly updated so that community members, organizations and funders can evaluate changes in the community and assess the effectiveness of their efforts. When you think of the MAP, think of Measurement, Action and Progress. That’s what JMAP is all about. Measurement to inform Action to create Progress. How is it different from a demographic study? A traditional demographic study examines the community’s demographic makeup, geographic locations, beliefs and practices. It could be thought of like a road map that doesn’t include any landmarks – if you know exactly how to drive somewhere, you can get there, but you might miss some of the context along the way. JMAP will provide deep insights into what’s important across the community, which we can all use to plan our “routes” and engage with others along the way. What is the purpose of JMAP? JMAP will provide data about the Jewish community across Greater Hartford (from Vernon to Middletown to New Hartford to Enfield!). It will help individuals, schools, agencies and synagogues have a better picture – a MAP – of our community and what’s important to everyone in it. JMAP will give us a blueprint by which to navigate our future and monitor our progress. JMAP is not a fundraising project. It is a confidential, community-wide research project. Who will have access to the JMAP Survey results? Only the Melior Group, JMAP’s professional research consultants, will have access to any survey information. These experts will analyze the data and aggregate it, providing the findings and data files on jmapct.org in Spring 2017. No data specific to individuals (e.g., email addresses, contact information) will be shared with any organizations. Is the JMAP Survey really confidential? Yes. Only the Melior Group, JMAP’s professional research consultants, will have access to findings, which will only be shared in the aggregate. What can I expect to learn from JMAP when it’s all done? Our community can expect to understand itself better – its goals and priorities – and be able to analyze trends in beliefs, practices and characteristics across a broad range of community members. These findings will be shared on jmapct.org, and will be available to everyone in the community to learn from. In addition, the dashboard that monitors our progress will provide organizations with knowledge that can help guide decisions about programs and services based on research data, now and over time. What product will we have when JMAP is done? Data, knowledge and a framework to assess our community’s progress over time. By Spring 2017, JMAP will share this information in many ways – through a written report, community conversations, jmapct.org, downloadable in-depth data files, and more. The information that can be used to improve our community and our services to all will be more valuable than any single report or data set – it can be used by everyone to better understand the community as a whole and particular segments as well. How will JMAP benefit my favorite agency or synagogue? When your favorite agency or synagogue needs to make choices about how to invest its time and financial resources, which programs to pursue and which new ideas to implement, it needs data to make sound decisions. Data about what the community thinks is important, what it needs and what it wants. Then, once the agency or synagogue has made a decision and implemented a new program, it needs to know if things have changed after a few years and whether the community perceives a difference. While JMAP won’t be able to answer every question that every organization has, it will be able to provide important baseline information that can be analyzed to make sure that we are all doing the best job possible to continue to be a vibrant community that addresses needs of community members, now and as circumstances change over time. JMAP is not a tool to evaluate specific organizations. It is a means to understand community perspectives on issues – not organizations. What is the role of each agency and synagogue in this project? Agencies and synagogues will all be asked to contribute ideas and feedback into the research portion of the study itself – What do they want to know? What information would be most useful for their successful planning and implementation? We will then work with the consultants to develop the questions to ask and the number of questions that can reasonably be asked. Once the study is complete, agencies and synagogues will be able to use the data for decision-making, conversations among their constituents and exploration of new ideas. Agencies and synagogues are key partners in this project, and the project will rely on their input and support throughout the process. What is the role of each individual community member in this project? Every individual community member’s voice is important for JMAP. Every voice matters. More participants mean more accurate and helpful data for the entire community. Individual community members can reply to the survey and encourage others to do so as well, with prizes and opportunities to advance your community goals available. Stay tuned for more information! Who is in charge of JMAP? JMAP is run by the Melior Group, research experts who have conducted many community studies around the country. JMAP is co-sponsored by the Jewish Community Foundation of Greater Hartford and the Jewish Federation of Greater Hartford, with funding from the Jewish Community Foundation of Greater Hartford and in partnership with Jewish agencies, synagogues and others. For more information and questions, please contact Kathryn Gonnerman at the Jewish Community Foundation of Greater Hartford or Laura Zimmerman at the Jewish Federation.